What people eat during the day plays a large role in their stress and productivity levels, and healthy snack companies have taken note. Here at Bassé Nuts, for example, we take our role as wholesale snack food distributors seriously — by providing the perfect snacks to stay energized, especially during that notorious 3 pm slump. 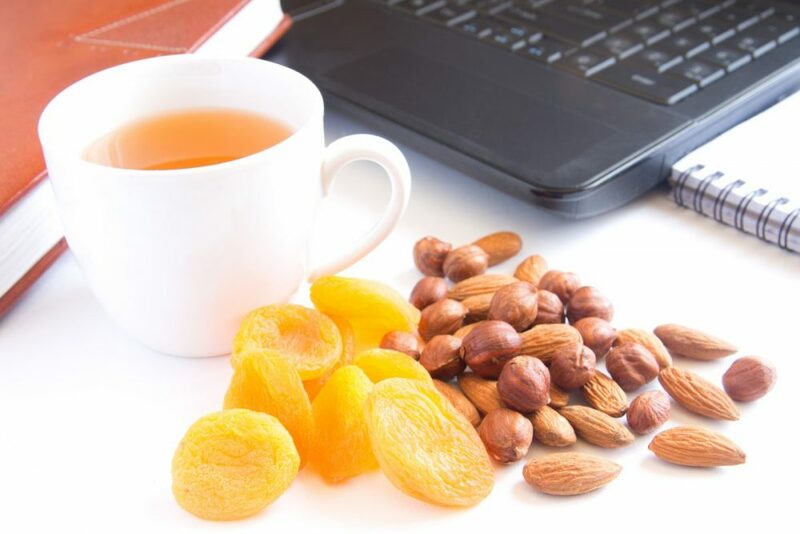 Studies have shown that eating healthy snacks can boost efficiency in the workplace. In fact, adequate nutrition can improve productivity by an average of 20 percent, according to the World Health Organization. On the flip side, consumption of fast food can have a negative effect on output, as shown by this Ohio State University study where students who regularly ate fast food were found to perform consistently worse on tests. So how does it work? Well as it turns out, our brains need a lot of energy to function properly, but not all energy is created equally. The brain doesn’t have any fuel stores of its own, meaning that for proper functioning it requires foods that provide it with plenty of glucose for energy and provide it with stabilizing fiber to hold on to that glucose. Snacks like a handful of seeds and dried fruit not only have brain-boosting powers but the sustenance to keep that power going — unlike sodium-heavy chips and sugar-laden candy bars, which provide a quick, unsustainable surge followed by a crash. Businesses that want to keep their workforce going strong are teaming up with healthy snacks suppliers to provide wholesale snacks for on-the-go eating. Offering free, healthy snacks to workers, such as bulk dried fruit and nuts, bulk edible seeds, and nutrient-driven snack mixes make it easier for employees to grab the good stuff, instead of resorting to processed or sugary snacks. There’s more to healthy snacks in the office trend than just productivity, however. A study by Peapod found that 67 percent of full-time employees note being “extremely” or “very” happy with their jobs when they have access to free food. And whereas sugary foods can increase symptoms of stress and anxiety, health-driven foods can have the opposite effect — calming nerves and keeping stress down. The best healthy snack options in the office are those that are both delicious and convenient. These include dried fruits, nuts, and nut butters, as well as edible seeds like organic sunflower seeds and pumpkin seeds. Trail mixes also make great work snacks, since they include various ingredients like glucose, protein, and antioxidants that all work together to keep the mind and body sharp. The science doesn’t lie. 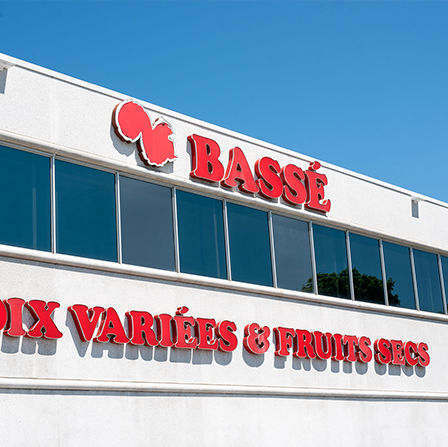 Shop healthy snacks from Bassé Nuts and meet the growing demand of today’s consumers! Get in touch today to learn about our wholesale and bulk buying options.